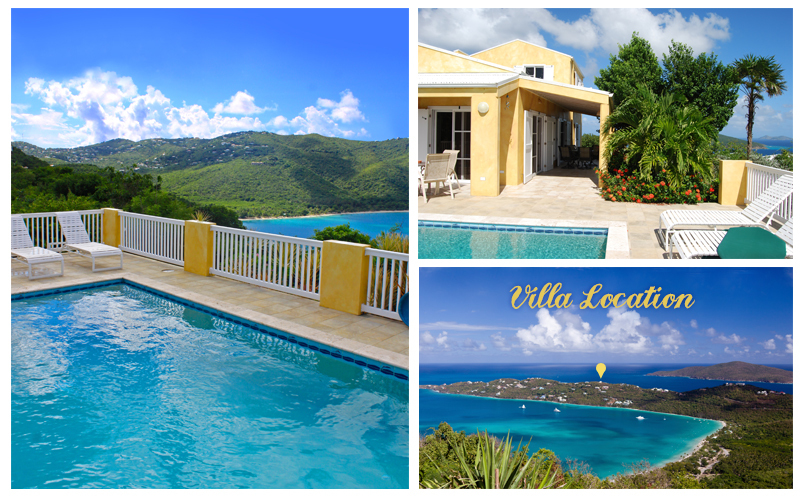 Sea Dreams Villa is located on the Island of St. Thomas, in the U.S. Virgin Islands. It is in the exclusive gated community in Peterborg Estate on the Peterborg peninsula that forms the north side of Magen's Bay, pictured above. Only 15 minutes from town and 20 minutes from the airport. 5 minutes from Magen's Bay Beach, there is a private beach within walking distance for members of the Peterborg Estate community.